Bachelor of Arts (Advanced) student, Tiana Blazevic, is currently completing a double major in History and Classics. 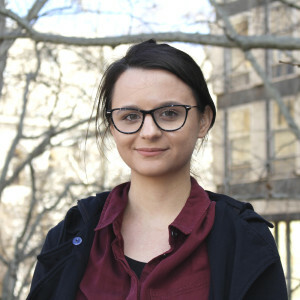 Tiana is passionate about understanding history, she is an active volunteer with University of Adelaide Collections and the West Terrace Cemetery and is a current intern of both the Adelaide Gaol and National Trust. Tiana’s research project is part of her internship with the National Trust: the project, entitled ‘Women, Crime and the Colonies 1854 – 1864’ predominately looks into women’s immigration to Australia between 1854 – 1864, and gives specific consideration into how this immigration effected the crime rate and analyses the attitude towards women who had committed capital offensives in the Australian Colonies. Tiana says that presenting at the Conference was a great opportunity to better understand her own research, and to strengthen her skills in public speaking and communicating complex ideas into simple and engaging notes of interest for the audience. Tiana encourages all undergraduate students to participate in the next Beacon Conference of Undergraduate Research. More information about the Arts Internship and the Conference. This entry was posted in Awards & Achievements, News, Research and tagged Classics Archaeology & Ancient History, History, Humanities. Bookmark the permalink.